The three-member Expedition 44 crew explored microgravity science today while maintaining the systems of the International Space Station. 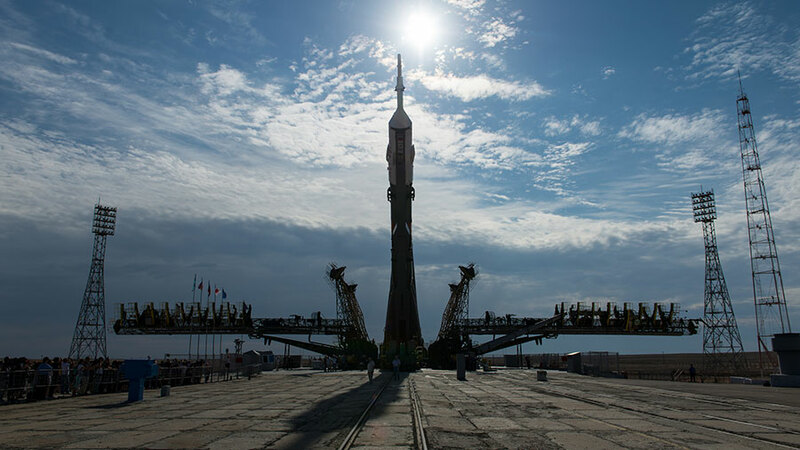 Back on Earth, a Soyuz rocket rolled out to its launch pad today before Wednesday’s launch of three new crew members to the orbital laboratory. One-Year crew member Scott Kelly worked throughout Monday primarily on station life support maintenance after some plant photography. His fellow One-Year crew member, Mikhail Kornienko, worked on the Kaskad and Motocard experiments. Commander Gennady Padalka conducted research for the Fluid Shifts and the Vibrolab studies. A new trio of Expedition 44 crew members saw their Soyuz TMA-17M spacecraft roll out to its launch pad today at the Baikonur Cosmodrome. Cosmonaut and Soyuz Commander Oleg Kononenko, NASA astronaut Kjell Lindgren and JAXA (Japan Aerospace Exploration Agency) astronaut Kimiya Yui will launch July 22 at 5:02 p.m. EDT from Kazakhstan (July 23, 3:02 a.m. Baikonur time) for a five month mission on the space station. Is above our head of course, such like we humanbeings on the earth look up Mars. Anyway .,,.I hope next launch success now.